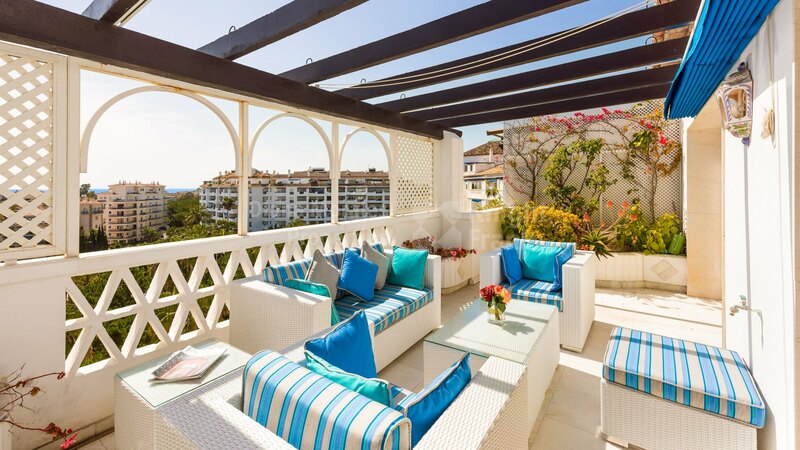 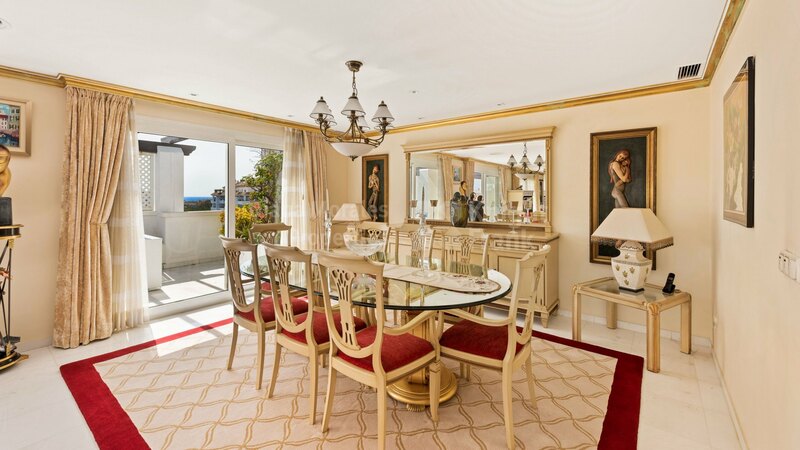 Please, send me more information about ref DM4465 in Las Gaviotas, Marbella - Puerto Banus or similar properties. 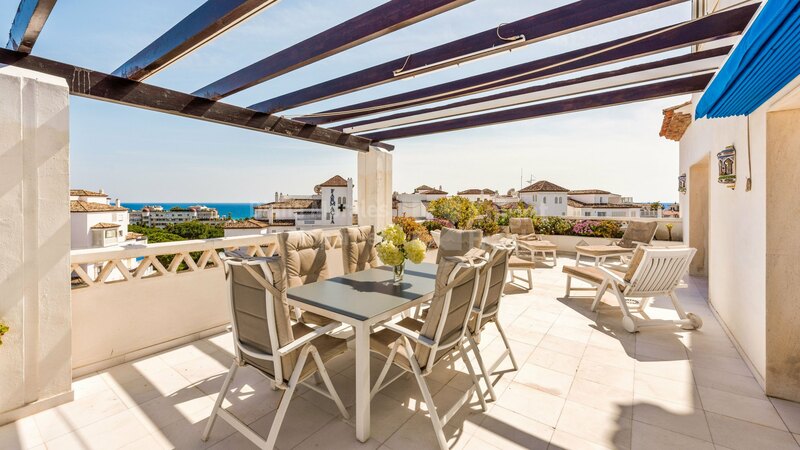 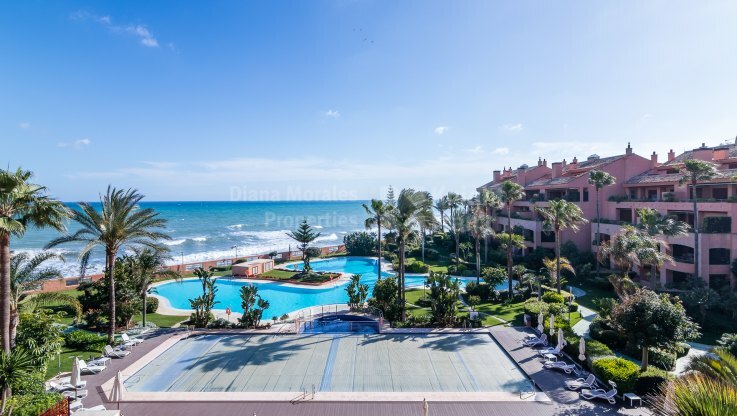 Corner beachside duplex penthouse with far reaching sea views situated in the development of Las Gaviotas by Playas del Duque. 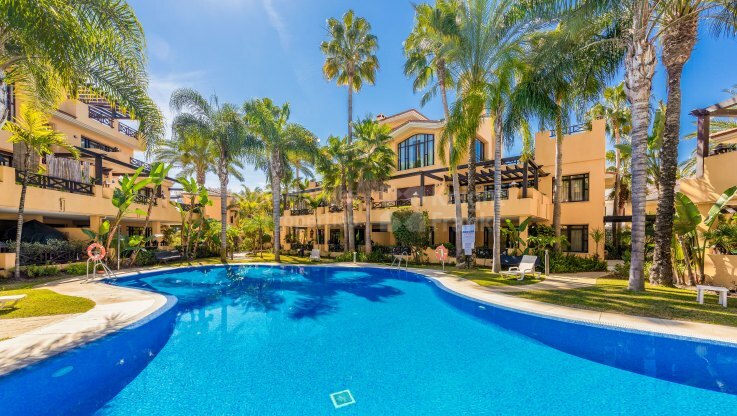 A secure complex with 24-hour concierge service and lush tropical gardens with exotic flowers and plants designed by award-winning landscapers. 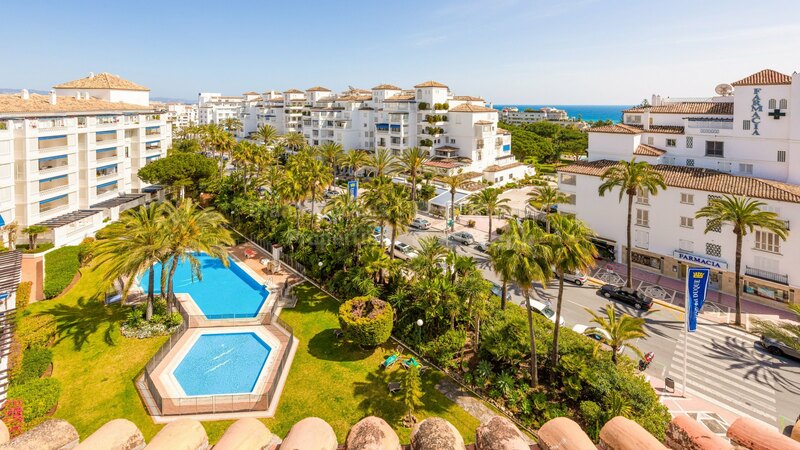 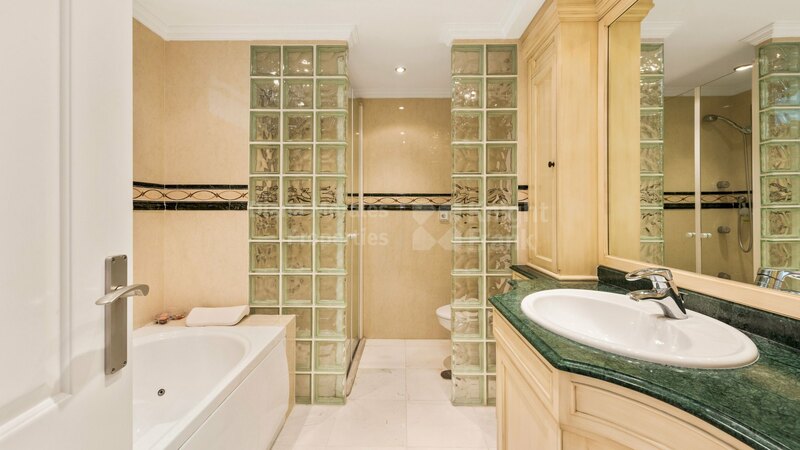 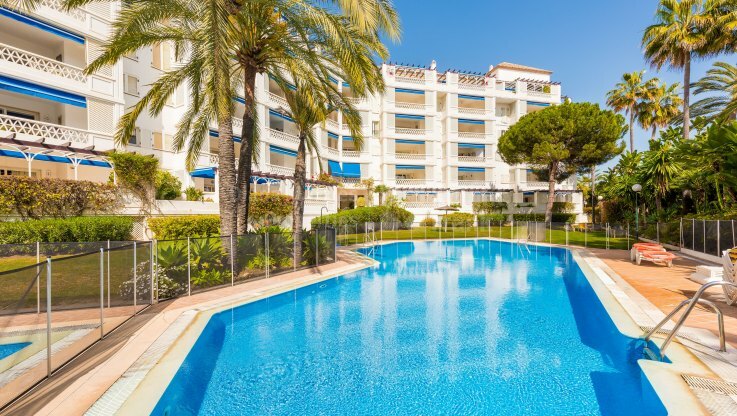 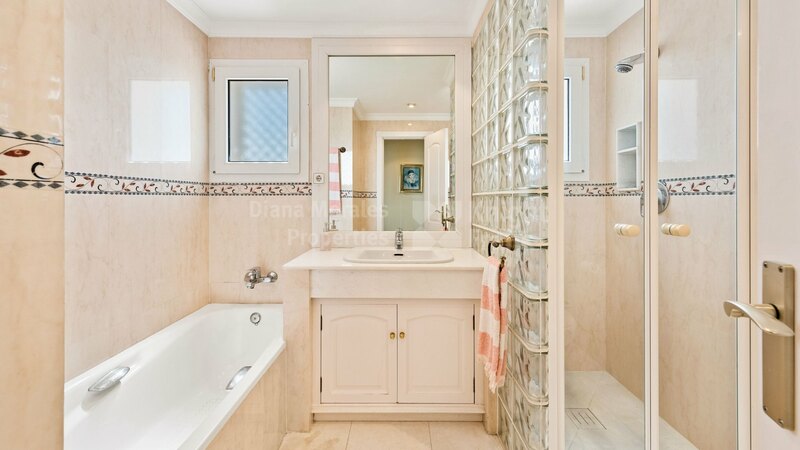 Less than 5 minutes’ walk to the beach and to the wide variety of services which Puerto Banus can offer. 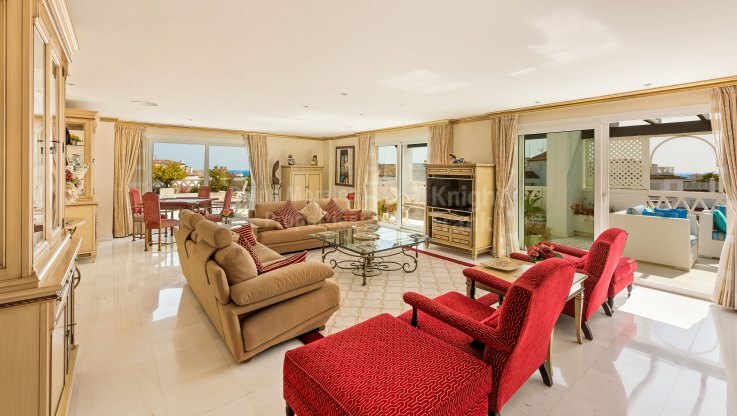 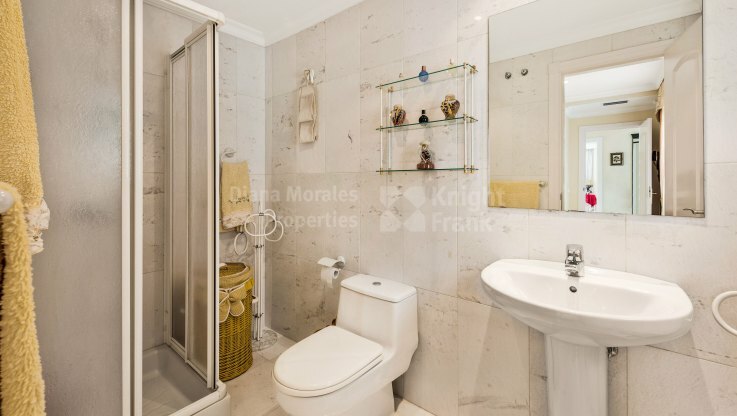 The rectangular entrance hall with a guest toilet leads to the generous south facing living room and dining area which opens to two large terraces with views to the sea as far as Marbella and Gibraltar, surrounding areas and La Concha mountain. A long hallway gives access to the fully equipped kitchen with cupboards and appliances. 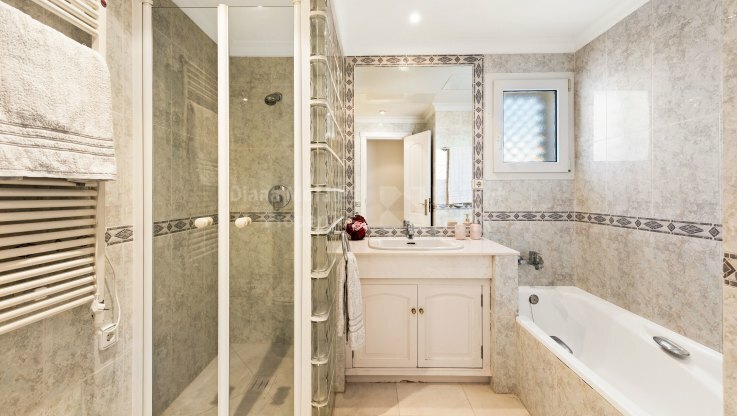 The spacious master bedroom with en-suite bathroom with hot tub and walk-in shower shares the terrace with the lounge, and a second bedroom and toilet with shower complete the layout of this level. 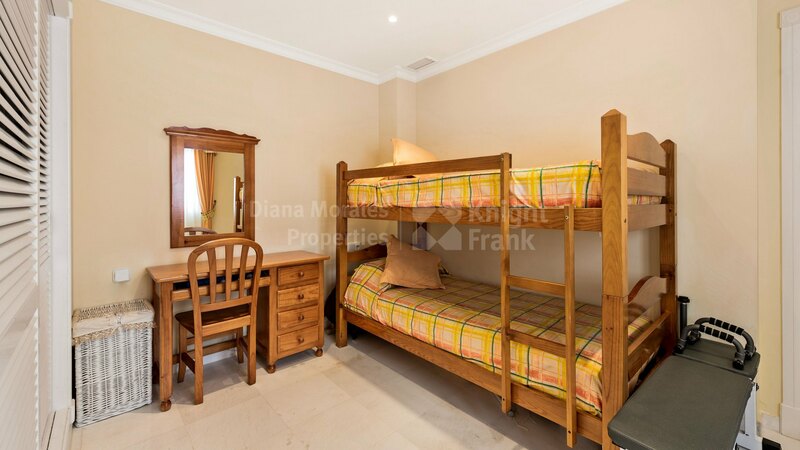 The upper floor is accessed by a staircase that lands to a family room which could be used as a fifth bedroom or TV/games room. 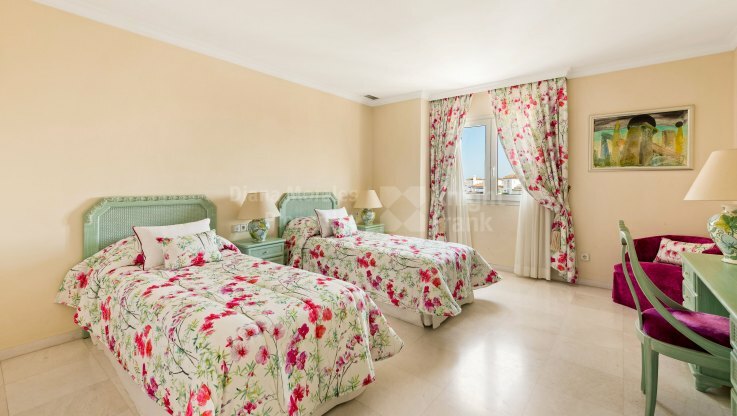 There are two additional spacious double bedrooms with two large shower/bathrooms. 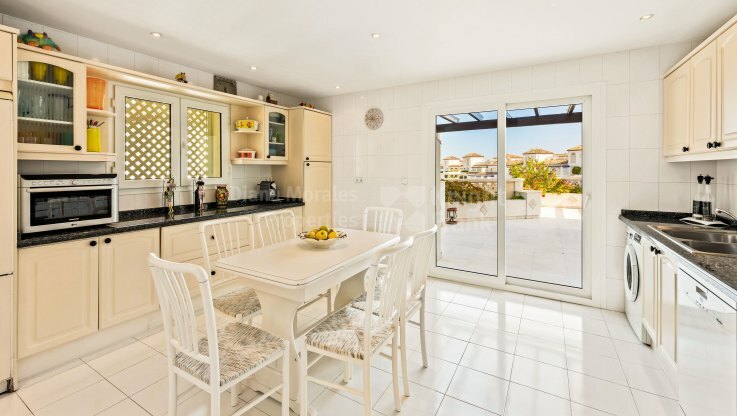 The property features fitted wardrobes, double-glazed windows to far reaching views of the sea and surrounding areas as far as Gibraltar, hot and cold air conditioning, central hot water heating, PVC carpentry and marble flooring throughout, except in the kitchen. 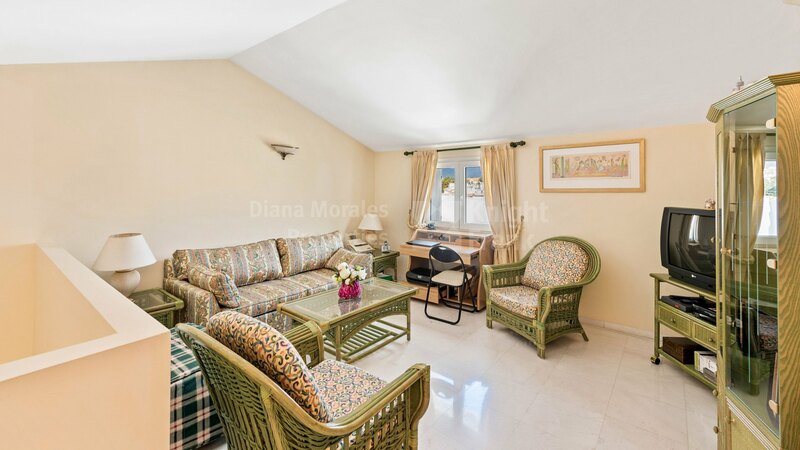 There are two car parking spaces with adjoining spacious store room, in the underground car parking area.